The Woodstock Music and Art Fair made some things famous that had been there in front of us but we weren’t listening. I’m sure the band had already played the song many times that summer. It’s a great example of a song that one might mistake for a cover of and old blues song that Rick Lee shifted into high gear. It isn’t. Lee wrote it and Lee (guitar), Chick Churchill (keyboard), Leo Lyons (bass) and Ric Lee (drums) played it. 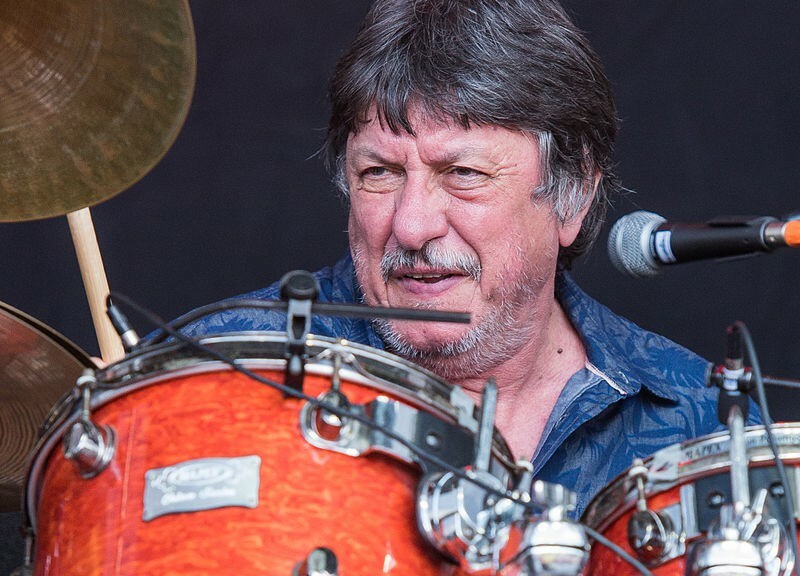 So who is this guy Ric Lee besides the drummer for Ten Years After? I gathered most of this from the Ten Years After site. Ric’s first band was as the drummer with the Falcons and from there here joined Ricky Storm and the Stormcats (as opposed to Rory Storm and the Hurricanes . While a Stormcat, Ric studied drumming with Dave Quickmire who was a drummer with the Jaybirds. The Jaybirds’ guitarist was Alvin Lee. The bassist Leo Lyons. When Quickmire got married he left the Jaybirds and recommended Lee to replace him. Chick Churchill joined the band first as their road manager and later as their keyboardist. The Jaybirds backed The Ivy League, a vocal group. The Jaybirds later went solo again and briefly became the Bluesyard before becoming Ten Years After in 1966 in honor of Elvis Presley’s 10 year arrival anniversary. We know Ten Years After. They were on the road constantly and were regularly invited to the many festivals of 1969 besides Woodstock: the Bath Festival of Blues in June, the Newport Jazz Festival, the Laurel Pop Festival, the Seattle Pop Festival, and the Texas International Pop Festival after Woodstock. Of course it was their appearance on both the soundtrack and in the Woodstock movie that permanently put them on the map. We were in a chopper with a medic. He told us once we got there not to drink anything that’s not out of a sealed can and not to eat anything unless it’s been cooked. There was an outbreak of hepatitis [no medical records indicate any such outbreak] that could turn into an epidemic if we were not careful. When we landed, there were no drinks, of course, that weren’t opened. I watched the beginning of [Joe] Cocker’s set, which was fantastic, and not long after came the storm. It was a mini-cyclone I think, with very strong winds. The whole stage was live, but they wouldn’t let anybody use it. That festival these days would not get past health and safety. If you look at the film, you’ll see the covering for the stage was really pathetic. The whole thing got soaked. They were also scared that the big speaker towers people were climbing and sitting on were inadequate. The speakers were very heavy. We were incredibly lucky none came down. While still in Ten Years After, Ric studied at Berklee School of Music in Boston, with Alan Dawson, then drummer with the Dave Brubeck Quartet. Ric also began teaching young enthusiasts privately when at home between touring commitments. After Ten Years After stopped touring in 1976, Ric ran his own Music Publishing, Management and Record Production company. He continued to study, now tuned percussion at the Guildhall School of Music and Drama under Gilbert Webster, percussionist with the BBC Radio Orchestra. In 1980 for 18 months, Ric joined Stan Webb in Chicken Shack. Chicken Shack toured the UK and Europe many times in this short period and made an album for RCA Records “Roadies’ Concerto”. Ten Years After re-formed again in 1983 for the Marquee Club’s 25th Anniversary. 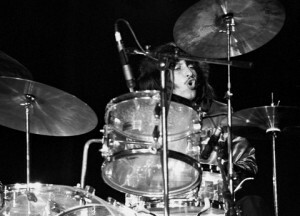 During this short “rebirth”, Ric managed the group as well as being its drummer. Between 1984 and 1986, Ric managed several up and coming young acts and continued publishing catalog. Ten Years After re-formed yet again in 1988 and recorded a new album “About Time” in Memphis, Tennessee and spent the next four years touring Europe and the US. In between tours Ric continued to study drum techniques, this time Latin percussion with Trevor Tompkins, Professor of Percussion at the Guildhall and the Royal College of Music. In 1994, Ric formed The Breakers with an old friend, Ian Ellis and together they wrote and produced MILAN, released in July 1995. In the middle nineties Lee produced a series of ambient albums, the most successful of which was Spirit of Africa. Ric worked again with Ten Years After between 1995 and 1999. In 2001 he recorded an album in Nashville. Ten Years After continues its intermittent existence and Lee is also part of Natural Born Swingers. Here is a link to a review in Elmore magazine from September 2017.